I can’t believe this post has come Round again so quickly! My mother always says that time seems to speed up as you get older and I think she’s right – but 2015 has really flown by! I am ending the year as I have done for the last two or three with a round-up of my favourite products; an eclectic mixture of nails, skin and make-up. If you have read this blog for a while you will know that these are my favourite brand of make-up brushes and this addition to my already somewhat extensive brush collection has to have been one of my go-to tools. A truly versatile brush, the loosely packed bristles make it ideal for applying blush, powder and even contouring! This was such a re-discovery and I can’t believe that it managed to slip out of favour in the first place. The rich creamy formulation is designed to lighten and brighten and the peachy-pink tone is shot through with gold, making it the perfect way to give most skin tones a flattering, warm and luminous glow. I was kindly sent a bottle of this to try earlier on in the year and it was an instant hit. 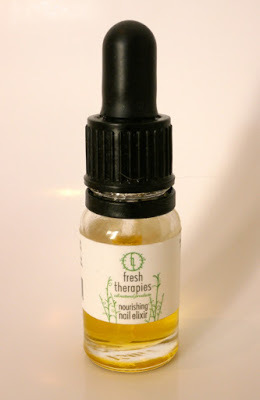 Already a lover of the Fresh Therapies Nail Polish Remover (which appeared in last years Top Five), my nails get pretty neglected and were in despite need of a little tlc, so this was the perfect antidote – in fact it reminds me I need to get another bottle. An impromptu purchase at the RMS Beauty Tinted Un-Powder launch back in July, Seduce won me over instantly. 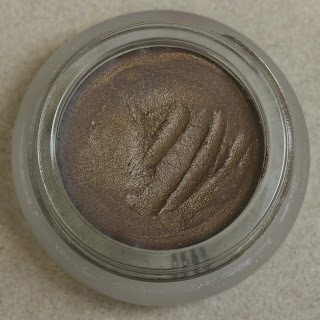 A beautiful earthy brown with bronze/gold undertones, Seduce is for all intents and purposes a cream eyeshadow but (and this is what I think won me over initially) it has the added twist of being a fabulous brow colour! I’ve always had a bit of a difficult relationship with shimmery bronzer. A frequently misused product which I admit to much maligning over the years, I had cause to reassess when I first tried We Evade. With a subtle sheen rather than outright shimmer, this particular bronzing powder is beautiful and is a great anicdote to pale, winter skin. That is it for 2015. I can’t wait to see what 2016 has to offer! Have you tried any of my top five products? What did you think?